Provide comfort for the family of Barbara Keyes with a meaningful gesture of sympathy. 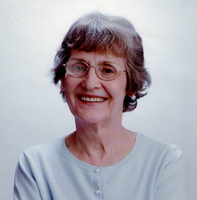 Barbara Mae Keehnle Keyes, 82, of Pittsfield, MA, passed away March 30, 2019 at Massachusetts General Hospital in Boston. She was born in Pittsfield on May 30, 1936 to the late Charles and Marguerite Cunningham Keehnle and was a 1953 graduate of Pittsfield High School. Mrs. Keyes worked as a bookkeeper for many years, having worked at St. Stephen’s Episcopal Church, and prior to that as a secretary at the Salvation Army and at Berkshire Life Insurance Company. She volunteered at Silvio O. Conte Archives, where she enjoyed studying genealogy. A communicant of St. Joseph Church, she enjoyed sewing and spending time with her grandchildren and great-grandchildren. Mrs. Keyes leaves behind her daughter, Susan Angelo Pensivy and husband Michael of Middlefield, MA; a brother Kenneth Keehnle and wife Linda of Stephentown, NY; sister-in-law, Jane Main and husband Allen of Pittsfield, MA; three grandchildren, Morgan Angelo Langlois and husband Michael, Kristiaan Angelo and wife Lisa, and Kathryn Angelo Cote and husband Leonard; four great-grandchildren, Ridge, Gavin, Colton, and Maxwell. She also is survived by her former husband, Louis Ricalzone. She was predeceased by a son, Michael Angelo; two brothers, Martin and Gerald Keehnle; and her husbands, John Angelo and Eugene Keyes. FUNERAL NOTICE: Calling hours will be held, THURSDAY, April 4, 2019 from 4:00pm to 7:00pm at DERY FUNERAL HOME, 54 Bradford Street Pittsfield. There will be a graveside service at St. Joseph Cemetery FRIDAY, April 5, 2019 at 10:30am, celebrated by Rev. Peter A. Gregory, Pastor Emeritus of St. Charles Church. In lieu of flowers, memorial contributions may be made in her name to the Berkshire Humane Society of the Berkshire County Kids Place in care of the funeral home. To send flowers in memory of Barbara M Keyes, please visit our Heartfelt Sympathies Store.